Brian O'Driscoll with Singapore international Loh Kean Yew. 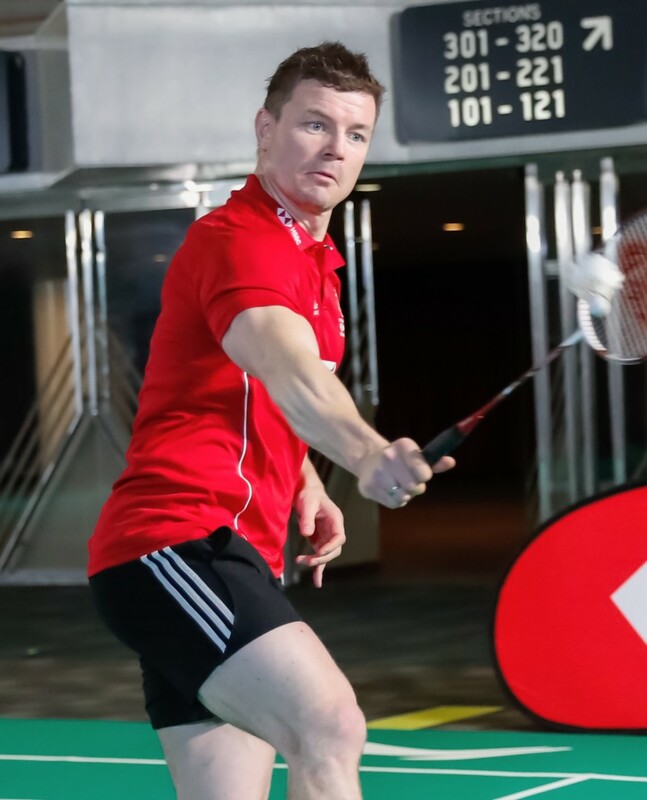 Rugby legend Brian O’Driscoll was bowled over by a fun session of badminton today with Singapore players Loh Kean Yew and Derek Wong and resolved to play it more often. 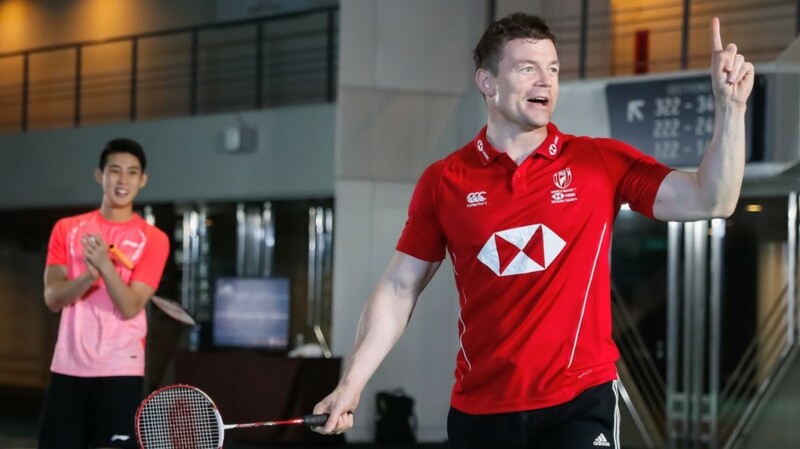 The badminton and rugby crossover session, facilitated by World Tour and rugby Singapore 7s sponsors HSBC, saw O’Driscoll sweat it out on the court with Wong and Loh. A group of young players also participated in the session. “I have to say, now that I have a little taste for it, I can see myself picking it up again,” said O’Driscoll, who is in the World Rugby Hall of Fame and regarded as one of the greatest rugby players ever. “It’s brilliant for your aerobic capacity. I feel good after the session. I really have to say I enjoyed it. O’Driscoll said he had a new appreciation of the abilities that badminton required. The Irish legend said some aspects of athleticism required in badminton were similar to those in rugby. “I suppose it’s agility and footwork, I suppose it’s quite similar to defending in rugby 7s, you can’t defend to the touchline, you got to defend in front of you, make sure you keep square. The footwork is quite similar, but badminton has a lot of front and back movement, more than in rugby. O’Driscoll and Loh Kean Yew pair up in a friendly game.